Should You Become a Cardiac Surgeon? It's one of the most daunting careers in the medical field. Should you become a cardiac surgeon? Operating on a person’s heart means taking their life into your hands. While this prospect frightens most people, there are a select few who see this as one of the most rewarding challenges anyone can take on. A successful operation requires someone dedicated and genuinely interested in being great at their career. The path to become a cardiac surgeon is not to be taken lightly. For patients, the fate of the world is in your hands. There are a few ways to evaluate your level of commitment in pursuing this goal. An important one is your willingness to spend over a decade learning about being a heart surgeon. If this sparks only intrigue in you, read on. The paycheck and prestige behind the sentence “I’m a heart surgeon” is often more than enough to pique most medical students’ interest. But spending your time on Earth serving others and ensuring the quality of their life is a monumental feat. The first trait separates the ‘might be’ people from the ‘I am’ surgeons is interest. And this goes well beyond schooling. If you still have the burning desire to be a part of this profession after speaking with surgeons and doing your own research, then the next step is to look inside yourself. Because that’s what matters most to a cardiac surgeon. The ER is not for the faint of heart. Your heart. Being a cardiac surgeon requires an immense amount of empathy, but it also requires a deep concentration. The emotionally-demanding parts of this career cannot shake you or cause you to second guess yourself, because that can be the difference between literal life and death in the ER. Cardiac surgeons should anticipate rigorous, fast-paced work that lasts for the majority of the day. A cardiac surgeon’s week is divided into days they operate and days they do not. On operating days, surgeons come in early and stay late into the night. 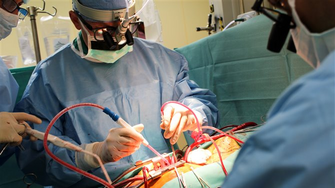 During this time, cardiac surgeons may do up to 3 surgeries. Of course, this does depend on how long each surgery is. Some surgeries only take a couple of hours whereas others last for over 10. On non-operating days, plan on doing lots of research for any upcoming surgeries. This portion of the week is vital for surgeons as it provides a way to mull over the next potentially life-altering operation. In addition to their research, surgeons stay on-call to provide help when and where needed. If you have the interest, the personality, and the ability to tackle the usual day, then maybe this crucial profession is right for you.